Acoustic enclosures reduce noise levels at source, on either new or existing machinery. They are designed to meet specific noise reduction requirements within factories, or external noise pollution to the surrounding area e.g. for large scale combined heat and power units (CHPs), pumps, air conditioners, compressors and generators. The enclosures are custom-designed and modular in construction and can be supplied with removal panels and integral access doors to meet your exact installation requirements. Using the latest CAD systems we are also able to ensure that the technical performance of our noise control products is matched by their aesthetic design. Our bespoke enclosures are visually attractive to complement the machinery they serve, ensuring that the challenge of addressing noise management does not compromise workplace aesthetics. The use of drop-over acoustic hoods and canopies will often provide the perfect noise reduction solution. They can be manufactured off-site. This ensures that when we arrive on site, they can then be installed incredibly quickly and set to work, reducing your noise or acoustic issue. A semi-anechoic chamber provides a controlled acoustic noise test facility. These are primarily used for research and development facilities, or quality assurance testing. They can also be used to reduce the noise of industrial machinery as an alternative to an acoustic enclosure. An anechoic chamber is a room that has been designed to completely absorb reflections of either sound or electromagnetic waves. An-echoic literally means “non-reflective, non-echoing or echo-free”. They are also often isolated from waves entering from their surroundings. This combination means that a person or detector exclusively hears direct sounds (no reverberant sounds), in effect simulating being inside an infinitely large room. Being inside an empty anechoic chamber is quite a spooky experience as any sound you make goes nowhere and is immediately absorbed and dispersed. The term Anechoic chamber was first voiced by American acoustics specialist Leo Beranek, When the term was first heard it was used to refer to acoustic anechoic chambers exclusively, but more recently has been extended to cover RF anechoic chambers, which eliminate reflection and external noise caused by electromagnetic waves. The size and scale of Anechoic chambers also varies dramatically from the tiny to the gigantic. Sizes range from small desktop compartments the size of a microwave oven to others that can be as large as a factory or distribution depot. The size of the chamber depends on the size of the objects and frequency ranges being tested. A Semi-anechoic chamber differs from a full anechoic chamber in that the latter aims to absorb energy from and in all directions. A semi-anechoic chamber, on the other hand, will normally have a solid floor that acts as a work surface for supporting heavy items such as industrial machinery – This is normally where we come in. This floor could be damped or the machinery itself installed onto floating, absorbent buffers to isolate it from outside vibration or electromagnetic signals to allow for research and development, or quality assurance testing. We can also supply weatherproof housings, including manufacturing bespoke designs to suit your requirements. Our expert team will provide your equipment with a highly durable noise control solution, with the appropriate level of weatherproof protection, ensuring that you select the correct rated enclosure. So what is Acoustic Engineering? Acoustic engineering is the branch of engineering that deals with both sound and vibration. For us, much of our work is around the management and minimisation of unwanted noise and vibration. Technically, it is defined as the application of acoustics, the science of sound and vibration, in technology. Our engineers typically work within the design, analysis and management of sound in industrial situations. One of the main areas we look after is the reduction of unwanted noise, which can often be described as noise control or reduction. Unwanted noise can have significant impacts on animal and human health and well-being, reduce attainment by pupils in schools, and even cause hearing loss. Noise control principles are implemented into technology and design in a variety of ways, including control by redesigning sound sources, the design of noise barriers, sound absorbers, suppressors and often the use of acoustic enclosures to contain the sound within an area and prevent its ‘leaking’ into the wider workplace or the outside world generally. Working with our sister company Kimpton Energy Solutions, we can also offer ongoing maintenance contracts to ensure that, acoustic enclosures, screens and barriers continue to perform at their best for many years to come, but we also often maintain the machinery they contain too. 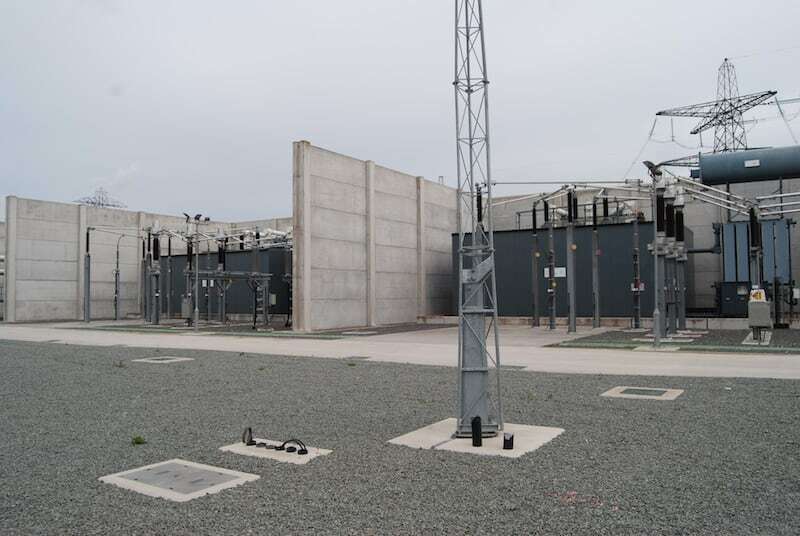 Siemens Transmission and Distribution employed Kimpton Energy Solutions to assist them in meeting the noise emissions criteria set out in the planning permission. A noise impact assessment determined that an insertion loss of 20dB @ 100Hz was required for each transformer to alleviate the potential noise disturbance. Kimpton Energy Solutions designed, manufactured and installed two acoustic enclosures. Each enclosure was shipped to site in a modular kit form for ease of transportation and then erected around each of the 355 tonne oil-filled transformers.